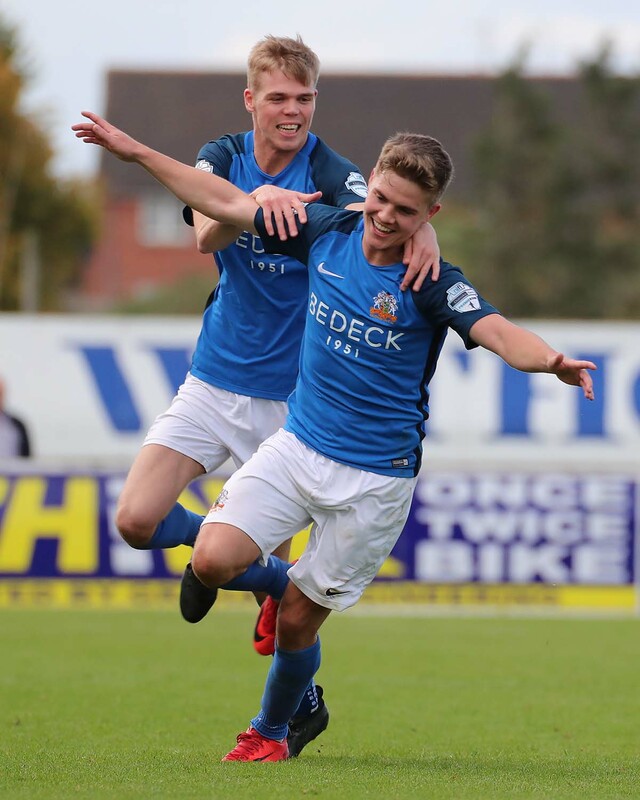 Crusaders are Glenavon’s opponents at Mourneview Park in the first of the five post-split fixtures as the 2018-19 Danske Bank Premiership reaches the final stages. 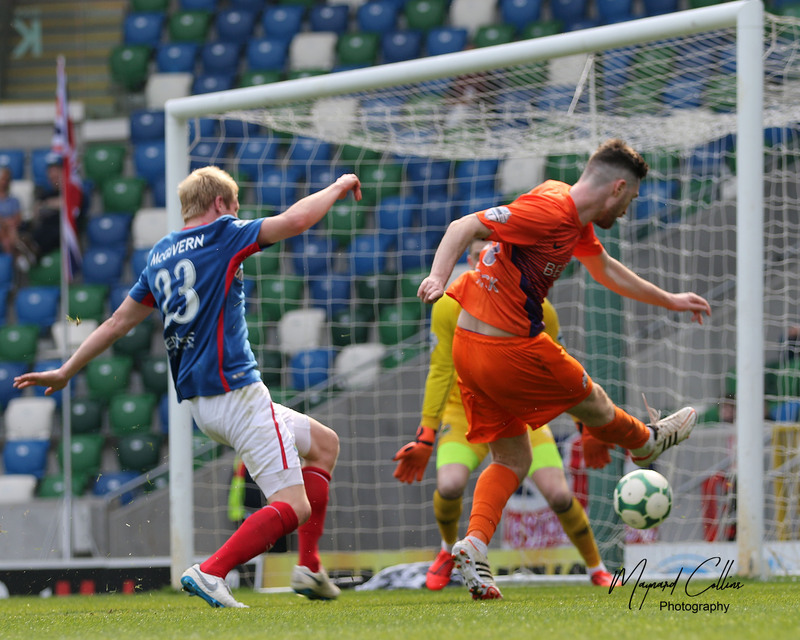 Stephen Baxter’s side go into Saturday’s game 13 points behind leaders Linfield and the boss of the reigning league champions is resigned to losing the title but no doubt will be determined, as indeed is Gary Hamilton, to finish as high up the league as possible. 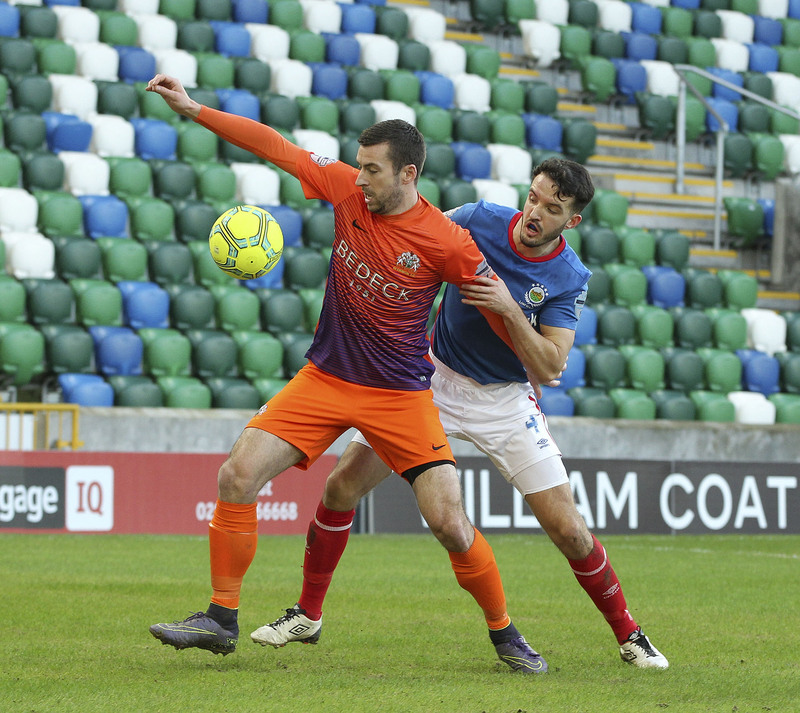 “We got a good win the other night (in the Mid Ulster Cup Final) and that’s four in a row now so the boys have to take confidence from that,” the Glenavon boss explained. “They’ve played some decent stuff in those games as well and even on Tuesday with a totally changed team. It’s difficult for players to come in like that – in fact the team in the final has probably never played together. They were all thrown in at the deep end and to be fair, there was boys there that haven’t got match fitness and to get through 90 minutes and put in a performance and get a result was a credit to them. We’re delighted to have retained the trophy and we’re delighted for the young lads who managed to get their first senior medals and it all bodes well. “That’s four wins on the bounce against Premier league opposition and credit has to go to the players for that. 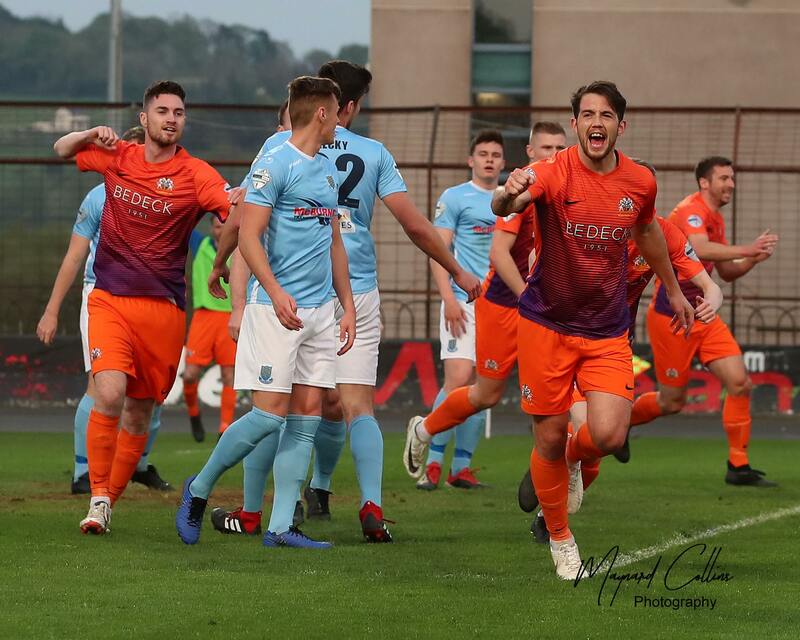 I was delighted to get a couple of goals from set pieces as well which is something we haven’t done well enough this season but big ‘Sharks’ has went up and attacked the ball and Eoin Wearen scored one against Newry which should never have been disallowed so maybe we’re starting to pose a bit of a threat from there now which we haven’t had this season. “It’s been encouraging over the last four games and we want to try and take that into Saturday and put in another good performance. It’s going to be difficult as we know. Crusaders are a top team, there’s no doubt about that and they’ll be confident as well coming off the back of a good result against Coleraine to get to the Irish Cup Final. 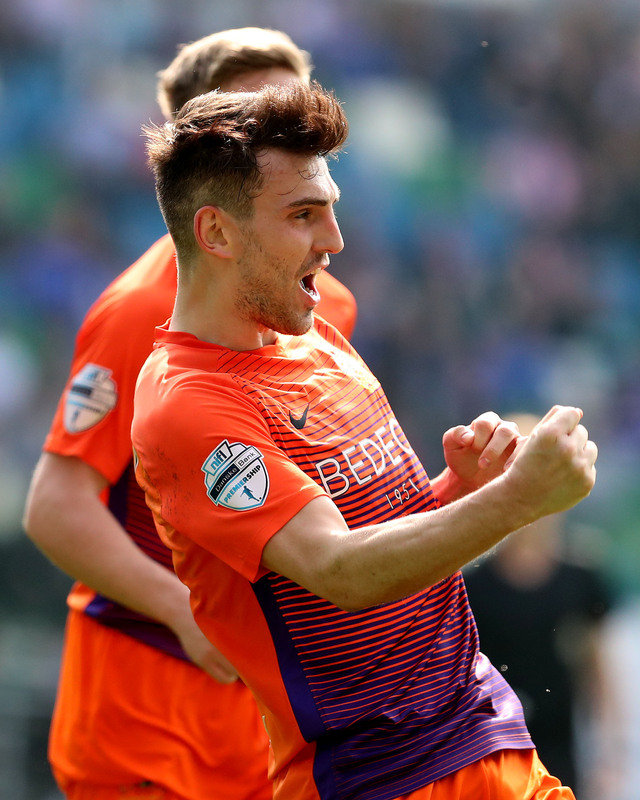 The good thing for Stephen now is there’s a lot of players looking to keep their performances up as high as they can to make sure they’re in that team come Cup Final day. There’s four or five games for them to make sure they’re in it so they’ll be up for it too and it’ll be a difficult game. 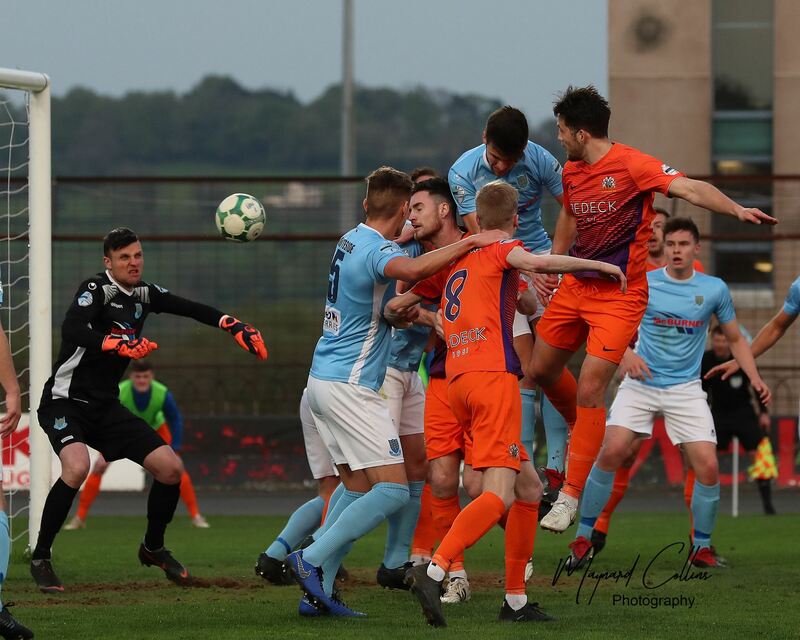 It’s honours even so far this season with each side winning one of the three encounters and the other ending one apiece in the live Friday night match on BBC2 NI in February.